Being a Hollywood star isn't everything when there's still a lot of kid in you. For 40 years film and TV's big names were kids again playing baseball in the annual L.A. Dodgers Hollywood Stars Night celebrity game. And many of these guys were good. From Rat Pack stars Frank Sinatra and Dean Martin to Kevin Costner, Tom Selleck, Jack Lemmon, Mark Harmon, Keanu Reeves, Rob Lowe, Billy Crystal, Ray Romano and hundreds of others, Hollywood's icons played a real baseball game at Dodgers Stadium. Thousands of fans would hurry to Dodger Stadium hours before the scheduled big league game to watch their favorite movie, TV and recording stars in knickers and spikes realizing their once-upon-a-time dream of becoming a major league baseball player. Bats, Balls and Hollywood Stars is a coffee-table book that features stories and backstage tales that made "Hollywood Stars Night", a L.A. hometown tradition. The event actually began long-before the Brooklyn Dodgers moved their franchise to the west coast in 1958, and is filled with humorous and nostalgic memories captured in words and more than 50 classic photographs. This volume brings baseball and celebrity together, and commemorates a Hollywood twist to our national pastime. 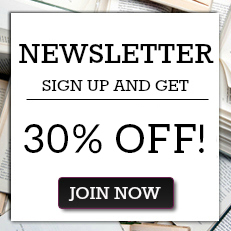 Expertly written and impressively researched, "Bats, Balls, and Hollywood Stars: Hollywood's Love Affair with Baseball" will have immense appeal for baseball enthusiasts in general, and LA Dodger fans in particular. Profusely illustrated throughout with black-and-white period photography, "Bats, Balls, and Hollywood Stars: Hollywood's Love Affair with Baseball" is enhanced with the inclusion of a list of the 'Most Notable Celebrities by Decade' and 'Hollywood Stars Night 1964-2003'. 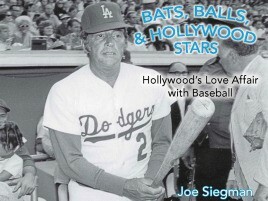 "Bats, Balls, and Hollywood Stars: Hollywood's Love Affair with Baseball" will prove to be an enduringly popular addition to community library American History and Sports History collections. Really captured a significant chapter in Dodger history.